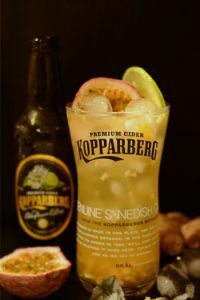 With Kopparberg Elderflower & Lime, we’ve created a refreshing cocktail with a South American twist! It’s the perfect tipple for any occasion! With Kopparberg Strawberry & Lime, we’ve created a delightfully semi-sweet cocktail with a fresh taste of Strawberry and Lemon. It’s the perfect pre-dinner drink or deliciously refreshing on a hot summer’s day! Start your weekend with a peppery kick to the sweet tangy freshness of the Strawberry & Lime completed with undertones of vanilla! Finish off with crushed pink peppercorns for that extra spice kick! 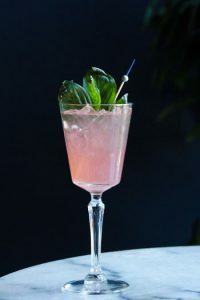 The freshness and slightly spicy undertones from the ginger, mixed with the zingy bursts of passionfruit and the sweet refreshing vibrancy of the elderflower and lime, make this cocktail one to include in your cocktail collection!